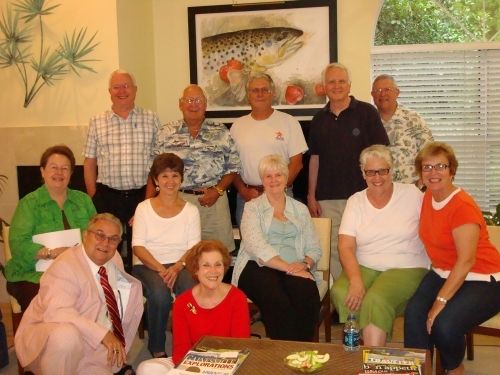 The wonderful Reunion Weekend has now come and gone, but all of us who attended have good memories of an event that will be special to us for many years to come. Our first gift to GHS as part of the Reunion Celebrations! 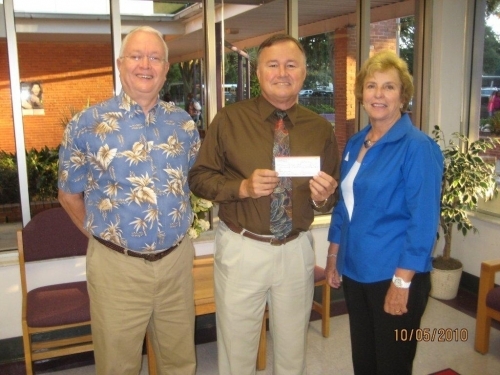 On October 5, 2010, Adrian Dovell and Marilyn Tubb presented GHS Principal Wiley Dixon with a check from our class for $600. 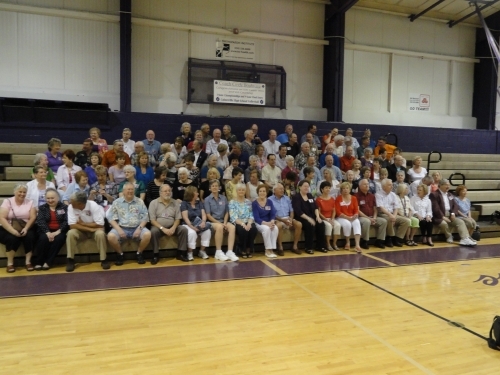 The gift will be used to purchase needed amplifiers for the gym's sound system. We wanted the school to be able to use this in time for the volleyball and basketball seasons. The money was in our account from previous generous donations of class members. The reunion planning group at our June meeting! Top, from left: Adrian Dovell, John Kelly, Bob Guinn, George Tubb, Robert Hester. Middle: Kit Macdonald, Karen Owens, Jeanne Dorsey, Mimi Carr, Marilyn Tubb. Front: Kenny Matheny, Beth Boyles.